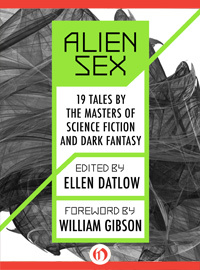 Open Road Media interviews Ellen Datlow (video). The Atlantic (Joe Fassler) interviews Junot Diaz. John Scalzi's The Big Idea: Sarah Rees Brennan. My Bookish Ways interviews Amanda Carlson. Black Gate (Emily Mah) interviews Jane Lindskold (podcast). Singularity interviews Cory Doctorow (podcast). Suvudu (Shawn Speakman) Ask Terry Brooks. Rowena Cory Daniells interviews Kathleen Jennings. The Last Word interviews Tiffany Trent. The Enchanted Inkpot (Leah Cypress) interviews Jay Kristoff. The King of Elfland's Second Cousin on Why Do Thrillers Outsell Science Fiction? Slate (Alan Siegel) on Marines Who Love Space Marines [via Paul Di Filippo]. Kirkus Reviews (John DeNardo) on Sci-Fi/Fantasy Books to Read Along with Your Kids. Smart Pop Books (Amy H. Sturgis) on Reimagining “Magic City”. L.B. Gale on 10 Great Chase Scenes in Science Fiction and Fantasy Books. Pitch Dark (Gretchen McNeil) on Ten Surefire Ways to Survive a Teen Horror Novel. Molly Tanzer on Signal boost: Sword & Mythos anthology. SFX (Neil Ramsden) on Top 10 Scenes Of Epic Superhero Carnage. Suvudu (Matt Staggs) interviews Peter Heller. Mike Brotherton on Science and Science Fiction Epiphanies. Gail Carriger on FAQ Moment: How Could You End the Parasol Protectorate Series? Jim C. Hines on The Kingdom of Gods, by N. K. Jemisin. My Bookish Ways on Full Blooded (Jessica McClain #1) by Amanda Carlson. Staffer's Book Review on Slow Apocalypse by John Varley. H G Wells Posters by Kevin Tong. The Sky Opens by Gary Tonge. Concept ships by Benjamin LOUIS. Contemporary Doctor Who Episodes as Retro Book Covers. Harper Voyager Announces Global Digital Publishing Opportunity for Debut Authors. Call for papers: A Game of Thrones and History, edited volume of collected essays. Author Threatens to Sue Book Reviewers over Trademark Infringement. New A Song of Ice and Fire novella coming in May 2013. Voyager to Solar System: ‘Bye-Bye’. Adam Christopher Signing at Waterstones Macclesfield, Saturday September 15th.